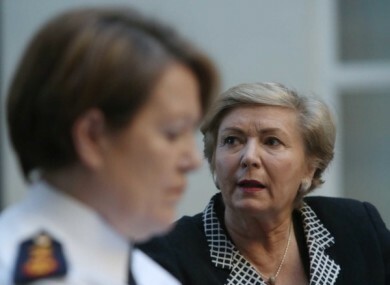 TAOISEACH ENDA KENNY has approved an investigation into how allegations from two garda whistleblowers were handled by Tánaiste Frances Fitzgerald. The decision comes as Cabinet was presented with a report today regarding the protected disclosures made by members of An Garda Síochána to the Minister for Justice and Equality Frances Fitzgerald. The former High Court judge was tasked with reviewing the situation after two protected disclosures were made to Fitzgerald by gardaí in early October. In response to a Dáil question posed by John Curran of Fianna Fáil, Enda Kenny said that the issue had been discussed earlier today. “The Cabinet gave approval to the Minister for Justice and Equality to initiate a commission of investigation into the outcome of the information sent in by the personnel involved. The report will be published in redacted form because it has to be published in redacted form. Fianna Fáil justice spokesperson Jim O’Callaghan said although the report compiled by retired Judge Iarfhlaith O’Neill has not yet been made public, he welcomed the establishment of a formal inquiry. An Garda Síochána said they welcomed the investigation and will co-operate fully “so that the truth and facts are established”. Email “Investigation to begin into treatment of garda whistleblowers' claims”. Feedback on “Investigation to begin into treatment of garda whistleblowers' claims”.